In March 2017, Colin Speedie’s new book will be published by Wild Nature Press. The book is a journey amidst wild seas, places, people and conservation history in the battle of hunting and protection of the iconic Basking Shark. 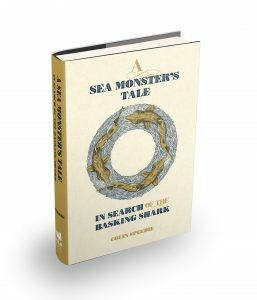 Colin will be attending book talks and events to share the adventures of both the hunters and the researchers seeking to find and latterly help protect the shark in our waters. Follow us on Facebook to keep up to date.